The 17th New York Asian Film Festival (NYAFF) will happen on June 29 to July 15. The festival is known for showcasing some of the biggest films from Asian countries, bringing them to an American audience for the first time. 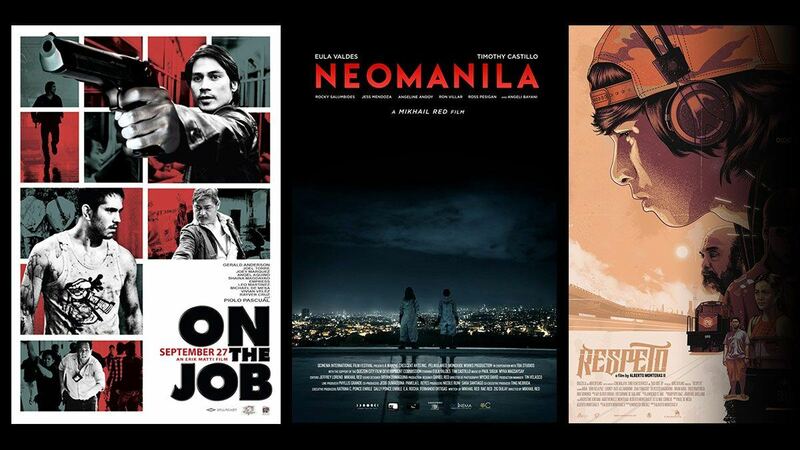 From blockbusters to indie films, NYAFF aims to show the cinematic talents of Asians, as well as to prove that films from this part of the world are as artistic and as emotionally compelling as those of its Western counterpart. Most of the screenings will take place at the Film Society of Lincoln Center and SVA Theatre. Erik Matti’s BuyBust will be shown during the closing night of NYAFF. It will also be the world premiere of the Anne Curtis-starrrer. Along with MMA world champion Brandon Vera, Anne’s character is tasked to take down a drug kingpin during a rainy night. The movie also shows the ongoing drug war and political corruption in the Philippines. According to reports, BuyBust employed over 300 stuntmen to do an epic, action-packed three-minute, one-cut scene. Mikhail Red’s Neomanila provides a closer look at the violent war on drugs waged in present day Manila. Toto, a teenage orphan, is recruited by a notorious death squad. Irma, the group’s leader, soon becomes a maternal figure to the young boy. As the two form a familial bond, their loyalties will be put to the test when one of their targets turns out to be a familiar face. There will also be a special screening of Matti’s 20013 thriller On the Job. On the Job, or OTJ, is a story about contract killing prisoners who are temporarily released from jail to carry out orders from politicians. The movie was featured at the 2013 Cannes Film Festival, and at the 17th Puchon International Fantastic Film Festival in Bucheon, South Korea. OTJ also won six awards at the 62nd FAMAS Awards: Best Picture, Best Director, Best Screenplay, Best Editing, Best Story, and Best Sound. It also won two awards at the 37th Gawad Urian Awards: Best Actor (Joel Torre) and Best Sound. Treb Monteras’ Respeto is the lone Philippine entry for the second edition of the festival’s re-launched Main Competition, now dubbed the Tiger Uncaged Award for Best Feature Film. Respeto also shows the the nation’s ongoing drug war, set in the milieu of rap battles. It was won the Cinemalaya Best Film award last 2017. DingDong Dantes and Anne Curtis’ anti-romance blockbuster hit, Sid & Aya: Not a Love Story, will also have its New York premiere. The movie tackles the evolution of a complicated relationship. NYAFF will also host the world premiere of action movie We Will Not Die Tonight. The film is headlined by Erich Gonzales, who portrays a stuntwoman who tries to survive a dangerous night. The movie also stars Max Eigenmann, Sarah Abad, Paolo Paraiso, Thou Reyes, Jeffrey Tam, and Alex Medina.